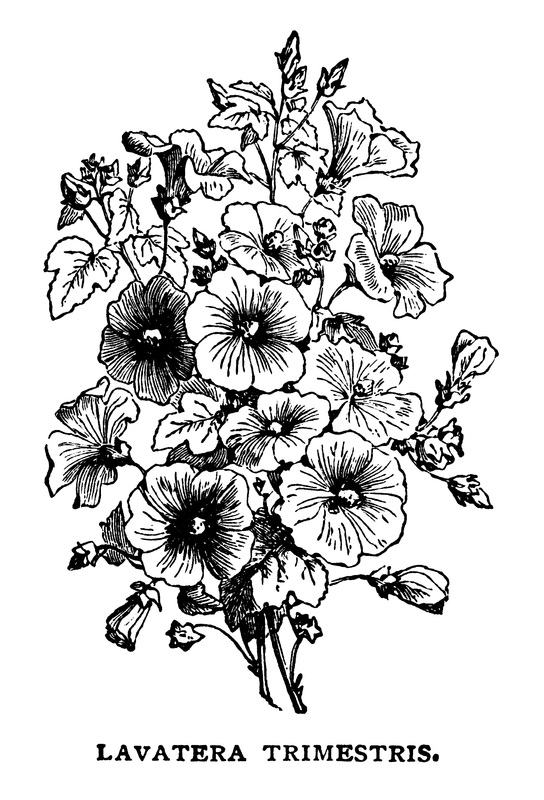 Here is a lovely vintage illustration of a bouquet of flowers. 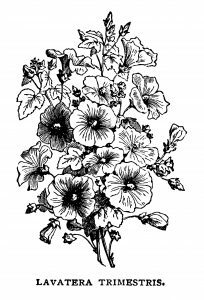 The scientific name of the plant is Lavatera Trimestris but it is commonly known as Tree Mallow, Rose Mallow, or Annual Mallow. Lavatera Trimestris is an annual plant that flowers from July to September. 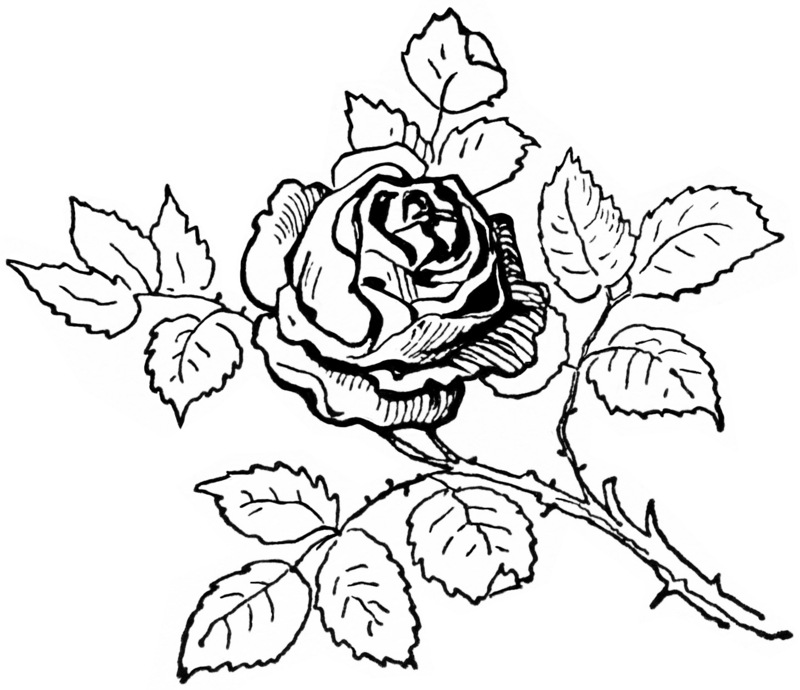 Here is a black and white clip art version of the illustration. I scanned the original image from the antique book Mrs. Beeton’s Dictionary of Every-Day Gardening, circa 1896.